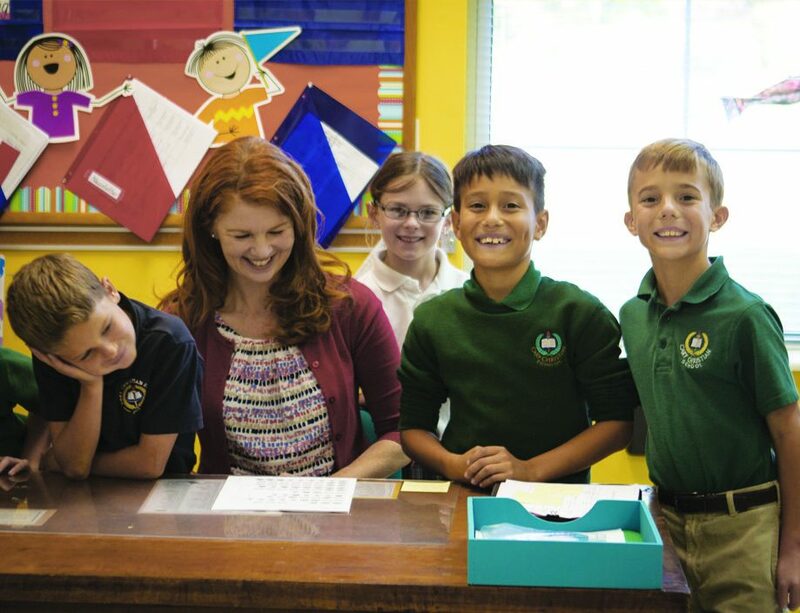 Cary Christian School welcomes you to an interactive day of learning in our lower school classrooms for Grades 1-4. Experience Days will be held February 12 or February 26, 2019, from 8:30 – 11:30 A.M. Together, students and parents will enjoy a morning of joyful, active learning with our caring teachers. A campus tour will also be available for interested parents. Your student should bring a snack and water bottle. If your child is visiting Grade 1, your morning will conclude at 10:30 A.M.
We ask that a parent remain with his/her student in the classroom so you can experience the morning together and help your student settle comfortably into the new environment. If you have not toured CCS already, we will connect with you during your visit to show you around the campus. Your student will have an opportunity to get to know his/her future fellow classmates over recess and snack time. Enjoy! Ask questions of our teachers and staff. We’re here to help! We have limited number of spots available. One ticket is good for a parent and child registration. For more questions, please contact Erica Spivey at espivey@carychristianschool.org.